All Quik-Shade canopies come completely assembled for quick and easy set up to provide shade and shelter wherever you need it. Simple to set up and quickly folds into an easily transported compact shape that fits inside the wheeled carry bag provided. 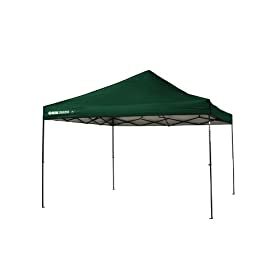 This canopy measures 12 X 12 feet at the base and provides 144 square feet of shade with an 12 X 12 fabric top.